Businesses around the world are working to embrace renewable energy, partly due to the emissions regulations that have been enacted by many of the world’s governments. Renewable energy can help a business avoid the penalties associated with noncompliance with a country’s emissions standards, but it can also a business cut down on the money it spends on energy in general. 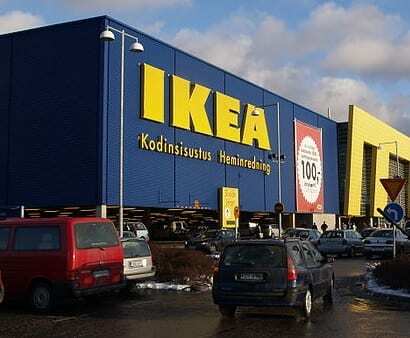 Swedish retailer IKEA has become one of the most aggressive pursuant of renewable energy in the retail industry and the company has recently announced a major goal for itself concerning sustainability. IKEA has plans to become 100% carbon neutral by 2020 and will accomplish this goal through the use of various forms of renewable energy. The retail has announced that it will be purchasing a wind farm in Alberta, Canada, which is capable of generating some 161 gigawatt-hours of electrical power, more than enough to cover the energy needs of IKEA Canada. The retailer estimates that the wind energy system can produce enough electricity to power at least 32 of its stores. To date, IKEA is deriving electrical power from more than 150 wind turbines and a combined total of 550,000 solar panels that are installed at stores around the world. The retailer receives 37% of its energy from renewable sources and has plans to continue bolstering its renewable energy capacity over the coming months. The retail industry has been relatively slow to warm to the concept of renewable energy, but the economic prospects of clean power are beginning to prove attractive to many companies. Most retailers derive power from fossil-fuels and this energy comes with a cost. The costs associated with fossil-fuels involve the transportation of fuel as well as the generation of electricity. By embracing renewable energy, retailers may be able to reduce energy costs by a significant margin.